Cleaning your carpets regularly in Cambridge will ensure a healthy environment for you and your family. Our exclusive carpet cleaning process, which is used in both commercial and residential settings, includes our nine step carpet cleaning process using our truck mounted hot water extraction system. Do you want your carpets to last longer and look cleaner all the time? Designed for those who want premium quality carpet cleaning of their whole carpet area including the removing and replacing of furniture AND are concerned about slashing the level of pollutants circulating your home and affecting you and your families health. PLUS FREE EMERGENCY SPOT & STAIN CALL OUT FOR 7 DAYS! The Carpet Clean and Protect package is designed for those who won’t compromise and want premium quality exhaustive carpet cleaning PLUS specialised treatments to reduce pollutants and allergens PLUS they want an application of anti-stain protector PLUS they want to be able to choose and tailor the service to deal with their specific concerns. The protection we apply is an invisible barrier. It will be easier to remove any spillages and the carpet will stay cleaner and last longer. Carpet protector will help to keep your carpet clean! PLUS FREE EMERGENCY SPOT & STAIN CALL OUT FOR 45 DAYS! The Carpet Clean Maintenance Plan is an on-going maintenance plan designed to keep your carpets and soft furnishings clean, healthy and looking good all year long, year after year. You will actually save more money than you realise because you can expect your carpets and soft furnishings to last two to three times longer before you need to replace them. And best of all, the carpets will always look good. You get clean healthy carpets all year – which makes your home healthier! – The first visit, initial carpet cleaning and protector treatment at half price! Yes! Half Price! Your first carpet clean AND protection will cost you less than our regular “Carpet Clean and Protect Service”! 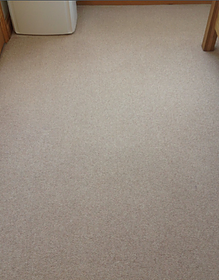 – Then one Full Carpet Cleaning and Protector Treatment in 12 months. We’ll call you and arrange a convenient time to re-clean and re-protect all items in the programme. 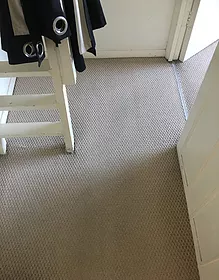 – Plus, A Free Bottle of Carpet Spotter (When we initially clean and protect the carpets for you, we’ll leave a free bottle of spotter so that if you should have a mishap and accidentally spill something, then you have the correct spotter to use. 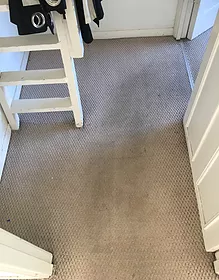 – And of course, if you can’t take care of the spot or spill yourself then all you need to do is call us for: One Free Emergency Carpet Spot Removal Visit per year. We will come out to you as soon as we can, and do our best to remove it for you. Emergency spot removal visit is free whilst you are a member of the Maintenance Plan. What is the Art of Clean carpet cleaning process? First we vacuum with a high filtration cleaning system specifically designed for super-high performance professional carpet cleaning. We will move larger furnishings – such as chairs and tables – but for insurance reasons we ask you to move smaller valuable items such as ornaments before we arrive. We are one of only a very few carpet cleaning companies in Cambridge that offers this service. We will pre-spot your carpet for all difficult stains. 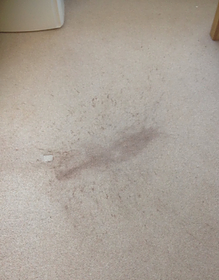 Then we will carry out specialist stain removal techniques on stains – or that we know will be difficult to remove using non-specialist techniques. Next we will apply a heavy-duty carpet pre-spray specially designed to electro-mechanically lift oily dirt and pollutants from your carpet fibres and suspend them floating in an aqueous solution ready to be quickly and safely extracted from your carpets using our state-of-the-art extraction machines. 5. TRUCK MOUNT: CARPET CLEANING HOT WATER EXTRACTION MACHINE The truck mount, high pressure hot water extraction unit we use cleans much better because it heats the cleaning solution and then shoots it into the carpet. This helps to break up the dirt, bacteria and pollens up in the carpet. The machine then produces a huge vacuum volume to draw the dirt and chemicals out of your carpet. We use the extraction machine to ensure a residue free rinse that helps to retard re-soiling in your carpet. Furniture is replaced back onto the carpet with protective foil/plastic tabs and Styrofoam blocks under the legs. Why? Well sometimes the moisture left in the carpet will leach out any colour-stain finish from the furniture leaving a (very difficult to remove) stain on the carpet. We are one of only a very few carpet cleaning companies in Cambridge that offers this. Where, appropriate we will groom your carpet to leave it in best possible condition. This usually means we run a grooming rake over the carpet to ensure the fibres are tangle-free and as ‘fluffy’ as possible. Finally, we’ll use special carpet dryers to rapidly dry your carpets so you can use them much quicker than normal.